Recently I needed to download a bunch of large files from HTTP sources. Downloading via a web browser is notoriously bad at doing this. How many times have you downloaded a large Linux ISO image or a movie file to find out that the download broke at 99%? The purpose of Download managers are two-fold, they speed up your download by downloading multiple segments of a file concurrently, and they will resume any broken downloads (provided the server they are on supports it – thankfully most do). SteadyFlow – nice and tidy but light on features. Integrates well with Ubuntu UI, sitting up in the menu tray. Seemed slow, no ability to work with HTTP passwords and no download ‘grouping’ or scheduling. multiget – Horrible User Interface. Not user friendly in the slightest. Has a dropper box you can drag and drop downloads onto but doesn’t go away, so gets in the way when you are doing anything other than downloads! Claims to support HTTP password sites but when I tried it didn’t work. Password is shown in clear without asterisks which is hardly secure! Does have software grouping. uGet – no way to save passwords for sites. Has a confusing Category manager – didn’t quite work out what the intention there was as it didn’t save ‘per site’ download preferences. Perhaps it was to do grouping of downloads by file type but not sure as I couldn’t get it working. Reasonably good looking UI. Flareget – paid app, seems fairly feature complete. Multi-platform software. Free app gives no more than 2 simultaneous segments for downloads over 25MB in size. Site Manager works as expected although noticed a few bugs. Easy to use and every option like setting the destination folder where desired seems right on. Allows grouping of downloads by file type.User interface is the most complete and progress indicator shows status of each thread. Even has an integrated YouTube download manager. Kget – more complicated than it needs to be but overall a nice interface for QT/KDE users. Has many features like clipboard monitoring and integration with KDE browser Konqueror. Supports HTTP password requests via the KDE wallet system. Even offers remote control via an integrated web service. Allows grouping of downloads by file type. Seems CPU heavy – topping out CPU at anywhere between 7-15% utilisation when downloading. 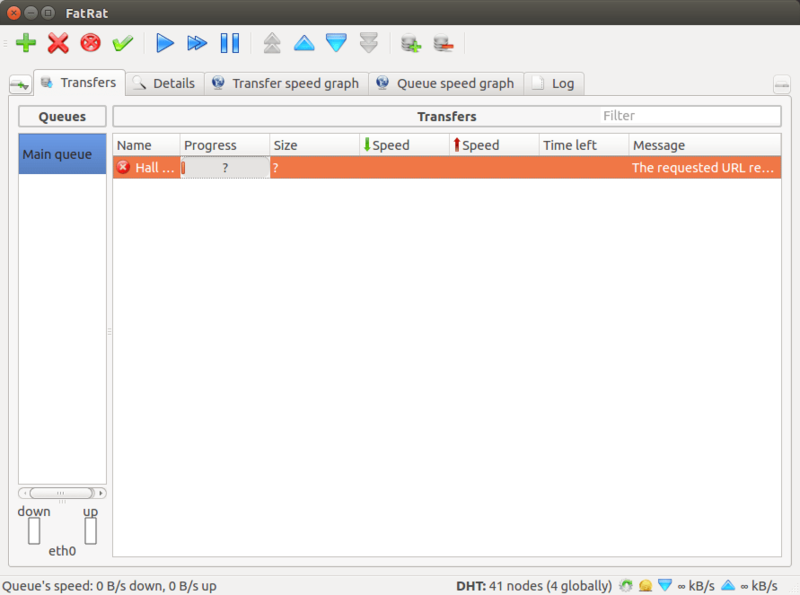 FatRat – another Qt/KDE download manager. Not as sharp on looks at KGet, but like KGet offers a web interface/remote control system. Has lots of additional features like YouTube video downloads and BitTorrent support via additional extensions. Can even download from RSS feeds. 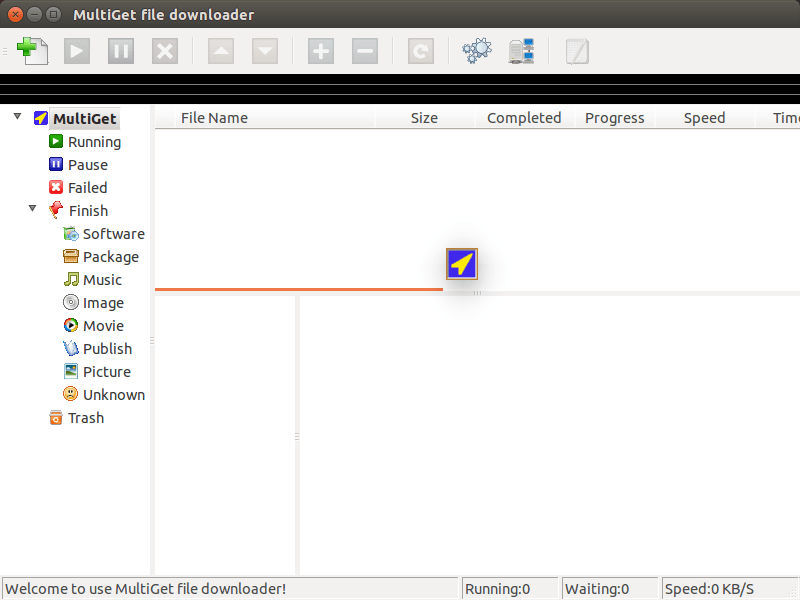 Like multiget allows a ‘drop box’ to drag and drop downloads into, but you can switch this one off, and alter it’s size! I couldn’t get HTTP downloads to work, despite it having a specific configuration section and allowance of regular expressions, nothing seemed to work. My recommendation? Kget won’t win an award for the most feature rich, but Kget has been around an awful long time and it does exactly what it says on the tin. If you are prepared to part with your hard earned pennies then the extra bells and whistles of FlareGet is definitely worth a look-see.